Spread oil on a sheet of paper to feed to your shredder. Note: A minimum quantity of 8 must be ordered, and in units of 8 thereafter. 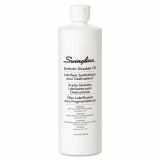 GBC Shredder Oil, 16-oz. Bottle - Compatible with any shredder, this synthetic oil lubricates the cutters. 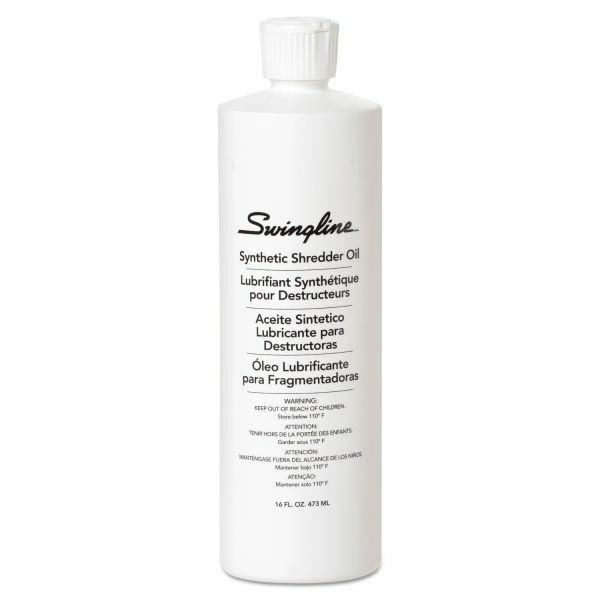 For use with a Swingline SelfOil&trade; shredder, pour the oil into the shredder's oil reservoir. To use with standard shredders, pour a few streaks of oil on a sheet of paper and run it through the shredder. 16 oz. 473ml bottle.